NIACIN: "Elbow Grease", de Time Crunch, Magna Carta, 2001. 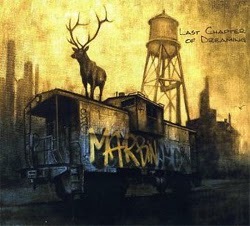 MARBIN: "Volta", de Last Chapter Of Dreaming, Moonjune Records, 2013. JOHNATHAN BLAKE: "Clues", de The Eleventh Hour, Sunnyside Communication, 2012. DEWA BUDJANA: "Foggy Cloud", de Joged Kahyangan, Moonjune Records, 2013. 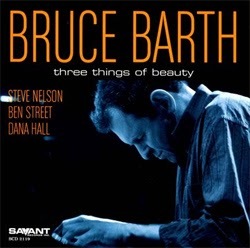 BRUCE BARTH: "Be Blued", de Three Things Of Beauty, Savant Records, 2012. YAGO VÁZQUEZ & MARCOS PIN - DUOLOGY: "Blue Monk", de Session 1, Free Code Jazz Records, 2013. THE IMPOSSIBLE GENTLEMEN: "Love In Unlikely Places", de Internationally Recognised Aliens, Basho Records, 2013. MARTIN TAYLOR: "They Can't Take That Away From Me", de Artistry, Linn Records, 1993. 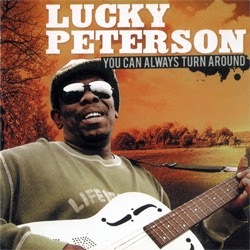 LUCKY PETERSON: "Statesboro Blues", de You Can Always Turn Around, Dreyfus, 2010. TRANSATLANTIC: "Watchers Of The Sky / Firth Of Filth", de Live In America, Inside Out Records, 2001. CARMEN INTORRE JR.: "Carmen's Caddie", de For The Soul, Random Act Records, 2012. GUILLERMO McGILL QUARTET: "People From Manhattan", de The Art Of Respect, Youkali Music, 2013. 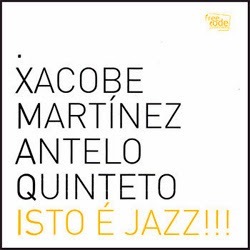 XACOBE MARTÍNEZ ANTELO: "Laio", de Isto É Jazz!! !, Free Code Jazz Records, 2005. 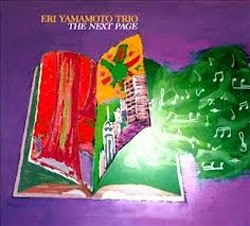 ERI YAMAMOTO TRIO: "Just Walking", de The Next Page, AUM Fidelity Records, 2012. SIMAK DIALOG: "Karuhun - To The Elders", de Demi Masa, Moonjune Records, 2009. DUSAN JEVTOVIC: "One On One", de Am I Walking Wrong?, Moonjune Records, 2013. THE WRONG OBJECT: "Jungle Cow Part III", de After The Exhibition, Moonjune Records, 2013. MARCELINO GALÁN: "El Exzorzista", de The Gift, Free Code Jazz Records, 2013. 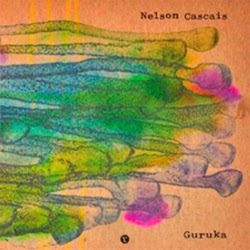 NELSON CASCAIS: "Radio Beat", de Guruka, Tone Of A Pitch, 2009. CONTRACUARTETO: "Sin Permiso", de Contracuarteto, Contracuarteto, 2007. 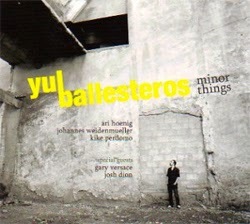 YUL BALLESTEROS: "Glaciere", de Minor Things, Irina Records, 2009. 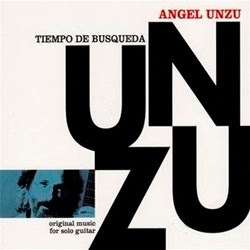 ÁNGEL UNZU: "Viaje Breve", de Tiempo De Búsqueda, Acoustic Music Records, 2010. DHAFER YOUSSEF: "Archaic Feathers", de Birds Requiem, Okeh, 2013. U.K.: "Nevermore", de U.K., EG Records, 1978. 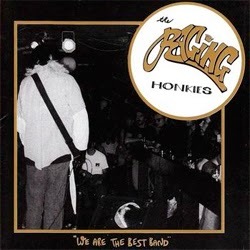 THE RAGING HONKIES: "I'll Get Away", de We Are The Best Band, Smashed Hits, 1994. THE KENNY WAYNE SHEPHERD BAND: "Strut", de Here I Go, Roadrunner Records, 2011. BRYN ROBERTS: "In The Still Of The Night", de Fables, 19/8 Records, 2013. ABE RÁBADE: "The Peacocks", de VerSons, Nuba Records, 2013. PAT BIANCHI: "Dizzy's Business", de East Coast Roots, Jazzed Media, 2006. 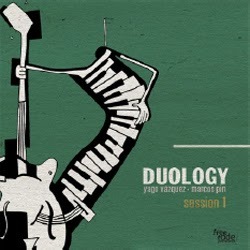 YAGO VÁZQUEZ & MARCOS PIN - DUOLOGY: "Dewey Square", de Session 1, Free Code Jazz Records, 2013. 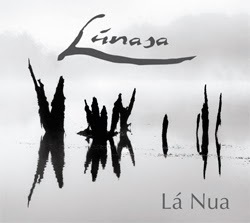 LÚNASA: "Fruit Market Reels", de Lá Nua, Lúnasa Records, 2010. VIRGIL DONATI: "Trinity", de In This Life, Gildon Music, 2013. LOST TRIBE: "Manticore", de Many Lifetimes, Arabesque Recordings, 1998. MARC HALBHEER'S 5TH EDITION: "The 5 Thing", de Confidence In Symmetry, Textit Music, 2013. 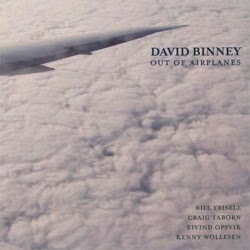 DAVID BINNEY: "Contributors", de Out Of Airplanes, Mythology Records, 2006. JOHNATHAN BLAKE: "No Left Turn", de The Eleventh Hour, Sunnyside Records, 2012. AURORA TRIO: "Annalisa", de A Moment's Liberty, Maya Recordings, 2013. 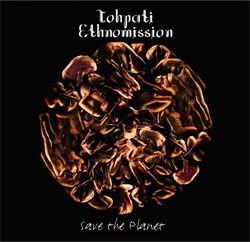 TOHPATI ETHNOMISSION: "Hutan Hujang (Rain Forest)", de Selamaktan Bumi (Save The Planet), Moonjune Records, 2010.